Hazgarn wrote: This disturbs me, deeply, and on a level I can't quite describe. This is what Orcs with the artistry skill do in their spare time. Why not illustrate something benign, like Hedgehog Tickler? Another thought: so many beefy people! Letters wrote: Another thought: so many beefy people! That's like every RPI ever, tho. Fun fact, a majority of the orc PB was beefy at launch but a lot of them died, majority of the orcs are now leaner. toofastnig wrote: Fun fact, a majority of the orc PB was beefy at launch but a lot of them died, majority of the orcs are now leaner. Clearly, the wargs went for the juicy ones first. 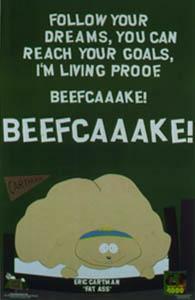 I want to see 'a beefcake' as a PC now. Rivean: You know, Tolkien probably ejaculates in his grave every time Brian rolls up a new PC. Erm, not sure where to post this, but who should I contact about getting my game password changed? Or should I just go and register a new account, since I haven't made any characters or anything? I remember a day where Gondor was filled with raven-haired men and ebon-tressed maidens. Now, it's redheads as far as the eye can see. Ginger pride! Rise up, my redheaded PC brethren! It is the hour of our crimson uprising! Rivean wrote: Rivean: You know, Tolkien probably ejaculates in his grave every time Brian rolls up a new PC. I really want to get into the game, but can't think of a decent backstory. Having to trawl around the site for info on the setting doesn't help, either. Apologies in advance to whoever has to read my app! You'll need to close those quotation marks. <****** / ^^^^^^ / ||||| > You want to tell yourself? Does the server give sassback?! I need to go test this out. Sorry Brian. You're a fetish. <**** / ^^^^^^ / ||||||> You begin scouting around, searching the ground for fallen sticks and twigs. You continue to scour the ground for dropwood. You pull out a stick of linden wood to set on the ground. "Yeah. You wish you had this wood." <**** / ^^^^^^ / ||||||> That craft cannot be performed in this sort of terrain. Admins playing games with WD. Just figured out how to turn ANSI on! For some reason it had been turning itself on occasionally on reboot, then turning off again the next time I logged. Weird. I'll admit to being intrigued as to how this plays out behind closed doors. This rough blade could have come from one of any dozens of forges, and is as utilitarian as it is unremarkable. Likely useable as a weapon in a pinch, or for cutting a bit of meat or bread, but little else. The metal has not been polished, nor has it been particularly well sharpened, and its handle is made from unpolished wood. In essence, it is a knife, and there are many like it, but at least this one is yours. I'd laugh, if I weren't first compelled to cry.